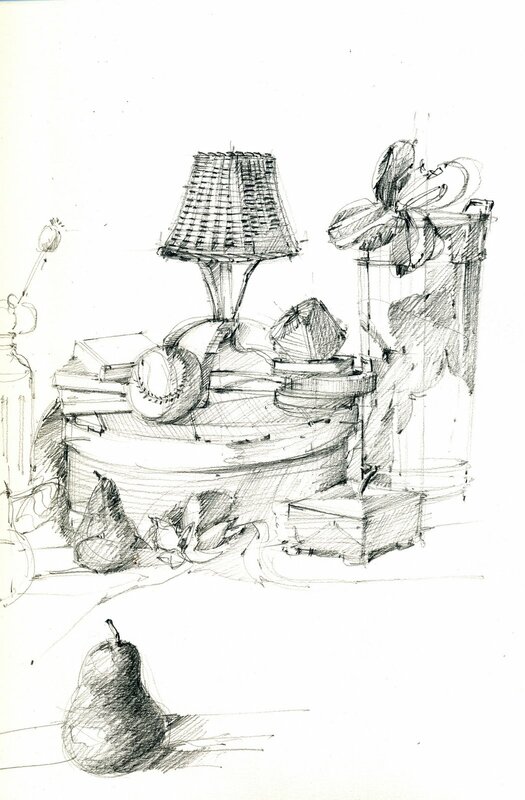 still life: structure, then tone: creating a full range of values and creating a hatching technique, suitable to the form and expression of light. 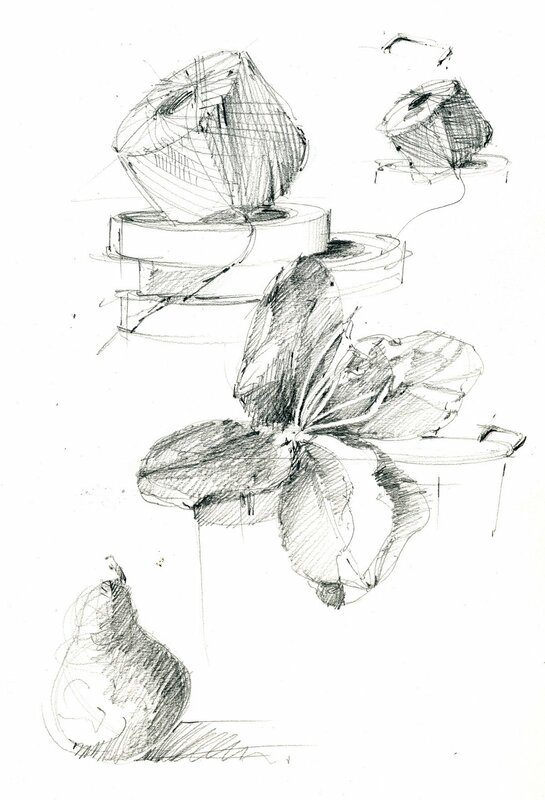 Detail studies as one is working is a great device for ‘getting it right’, then apply to the larger composition. Wet media next, watercolor studies!